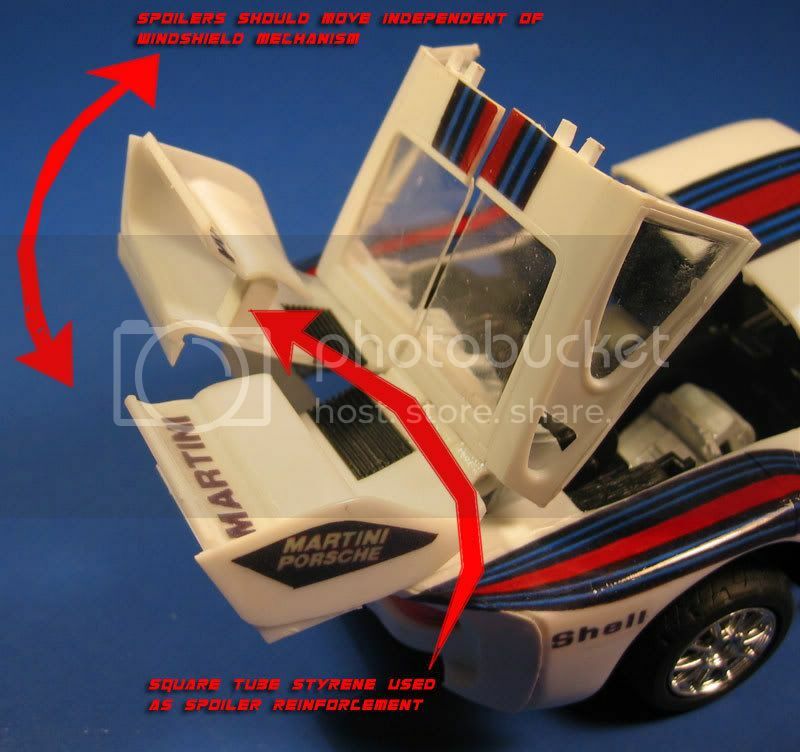 Disclaimer - Since there are two versions I made of this character, I want to stress that you please read the directions carefully and note when I am referring to steps specific to either the Tamiya kit or the AMT/ERTL kit. Keep in mind that this project focuses mainly on the AMT/ERTL kit because there is considerably less involved in making it look good. But, be on the lookout for specific references to the Tamiya version for those hard-core kitbashers. Any step that is covered only for the Tamiya kit should not be needed for the AMT/ERTL version. Finally, I will not be going into every detail of the process because some of it is self-explanatory. Finishing techniques are also not in the scope of this project(although there can always be an addition later if people want it). Alt. 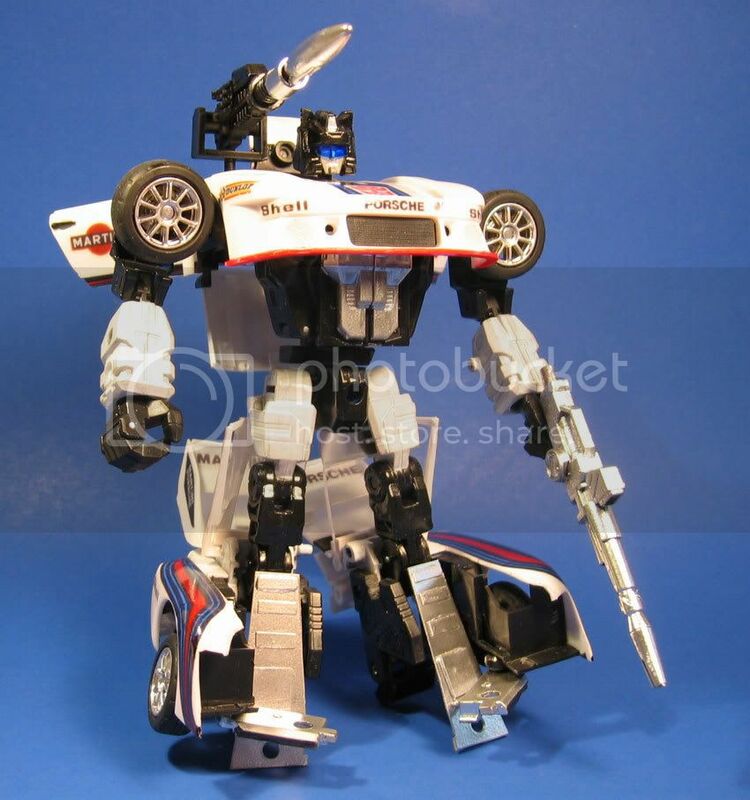 Smokescreen is a better chassis for this project than Alt Meister because of wheelbase issues. 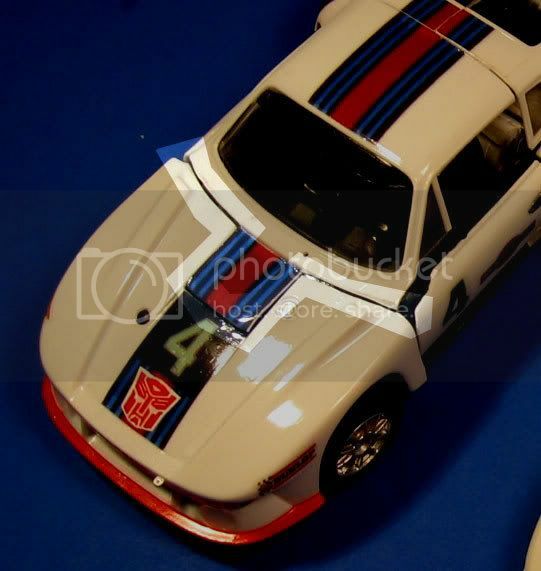 Smokescreen is about ½” shorter and thus fits the even smaller Porsche body better than a Meister chassis ever could. 9. Clear sheet styrene (for visor) – if resin head is used. 8. Rear trunk (both halves) – NOTE: These parts will be used later but should be removed for ease of modification. 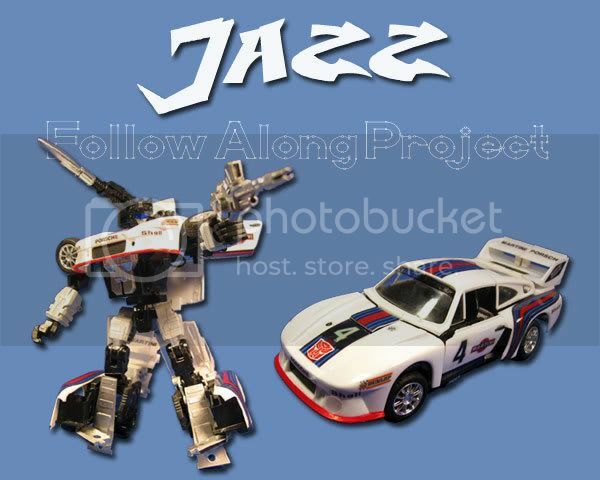 Now Smokescreen is ready to be melted, grinded, and sawed into a super cool special agent. Here’s the first crucial step. When cutting up the kit you want to have clean, symmetrical pieces with smooth edges. So be sure you have an exacto blade that’s BRAND NEW. First draw the lines to be cut along with a pencil so you have a guide when actually cutting. Use the pics below as a reference. You will also have to remove some chunks from the spoiler area and the bottoms of the doors as they contain “riding boards” that look quite different from the Porsche we know as Jazz. Just do a straight cut and pop off the bottom, you’ll fill it in with styrene sheet later (see * in photos). Next, begin lightly scoring along the cut lines. Make many passes applying more pressure each time until an accurate score is cut. Then you can bend the part until it snaps and you’ll have a clean break 95% of the time. Some cuts will require you to keep scoring until you cut all the way through the plastic. 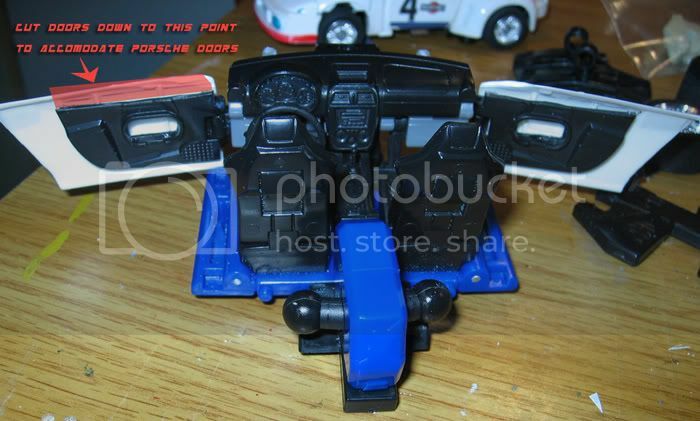 Those are usually cuts that are not straight and have complex paths to them – such as the cut you’ll make around the front windshield and hood section that the bot head comes through (see photo below for example). When you have to make totally straight cuts you may also use a jeweler's saw to cut those pieces (I use that for the “halving” of the rear windshield and fender). 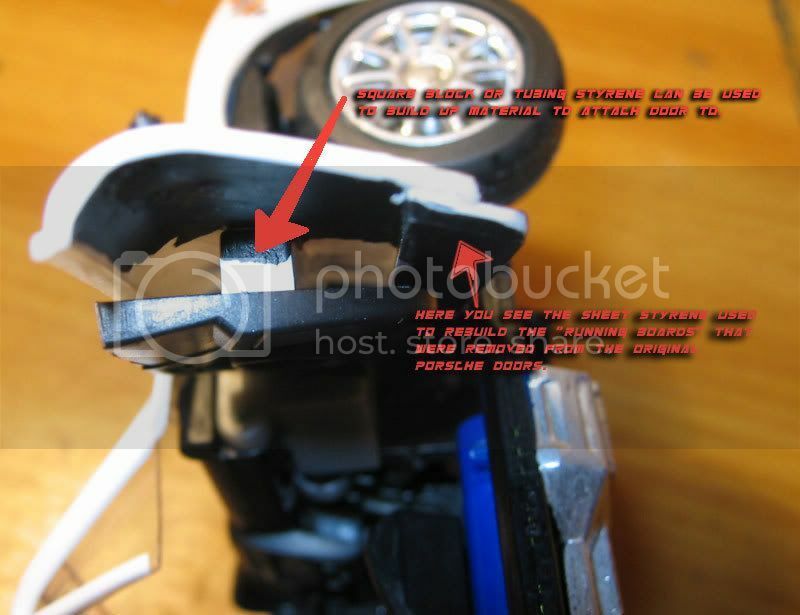 Take this time to use the styrene tubing to create a fastening “peg” inside the rear end. Super-glue in place. Now that the car shell has been cut up and prepped., well move on to fitting the parts onto Smokescreen…after a bit more prep. 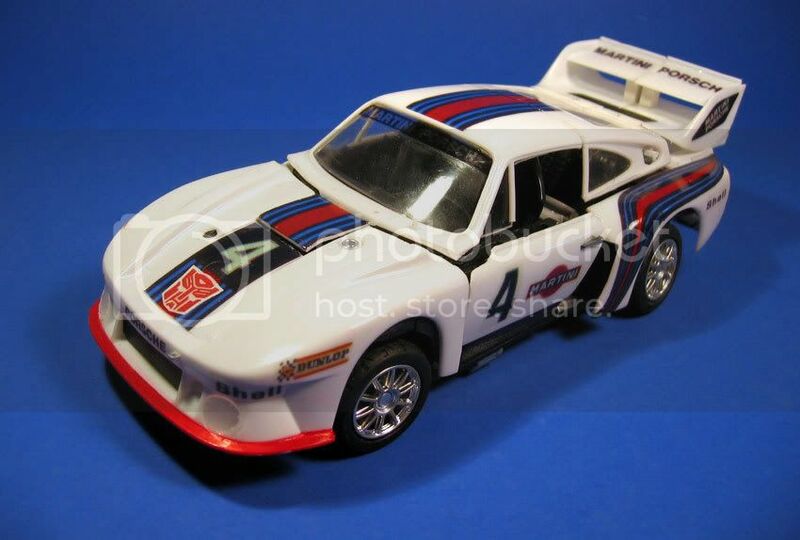 Note: It’s optional if you want to remove the rear-end corners of the 935 kit to make it more G1 Jazz. I did this and you can see the patch job in the pics. I didn’t illustrate it because it’s not crucial but I did want to make a point of mentioning the possibility. Using a dremel/rotary tool or plain old saw you should now cut up the rear trunk that was removed earlier. This part will be reconnected in reverse orientation to how it came from the factory. See explanation in lower left of photo ‘A’. You will also have to cut notches into the inner ‘feet’ panels seen in the top left of photo ‘A’. The dashboard will have to be ground down along the front edge so that the windshield piece doesn’t rise up above the level of the hood once attached. Grind away the area highlighted below. Cut off the tops of the inner doors so that the Porsche doors fit better (ignore the fact that the photo has the doors already fastened). 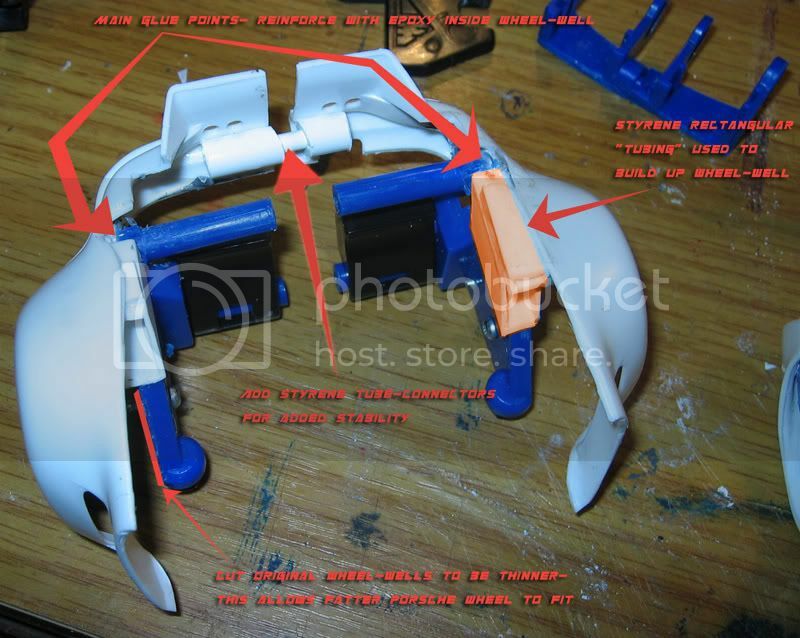 Note: For testing purposes you can use scotch tape to attach or hold shell parts in place while fitting and positioning them. Now you’ll need that rotary tool and your various new car body parts. This process is a bit of trial and (hopefully not) error. Take off a little at a time and you will be happy. Start with the front hood and fit it over the existing Subaru chassis. See how it is raised up high? The Subaru front wheelwells will need to be ground down considerably on top as well as underneath. Once the Porsche hood fits well and is snug up against the dash you can glue it in place with your favorite superglue…just don’t inhale! The windshield should be left off until the end as it would only get in the way. Now we’ll move to the rear of the car. There’s a lot of material to be taken off here. First just cut off the pointy pieces protruding out the back. Note: In the photo above you’ll see the extent to which the rear end needs to be ground down to accommodate the Tamiya kit. 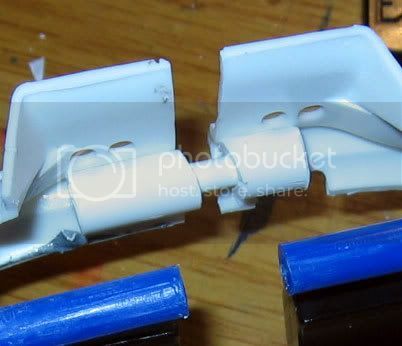 Note that not this much material should be removed for the AMT/ERTL kit – there should still be solid material connecting all of the axles in that case. Next grind down the old fender because the rear wheel is going to have to be inset at the location of those fenders (see pic). Finally, grind down the top of the wheel wells to accommodate the Porsche rear-end parts. Take a little off at a time until you get a good fit both vertically and horizontally. 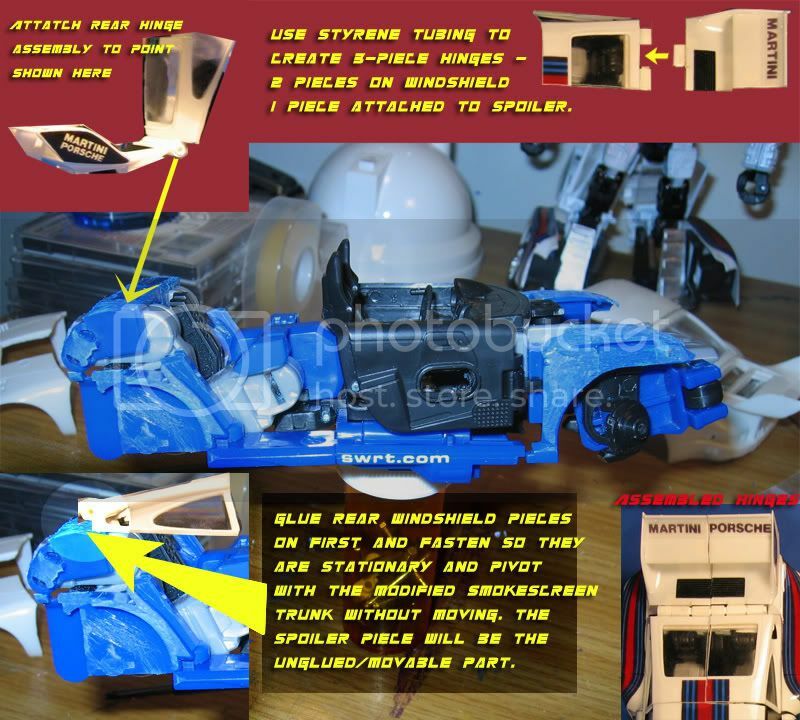 Note: Again, this is the Tamiya kit below, which requires more work than the AMT/ERTL kit.Bashing the AMT/ERTL kit does NOT require building up the wheelwell with styrene ‘rectangular tubing’ as described below. 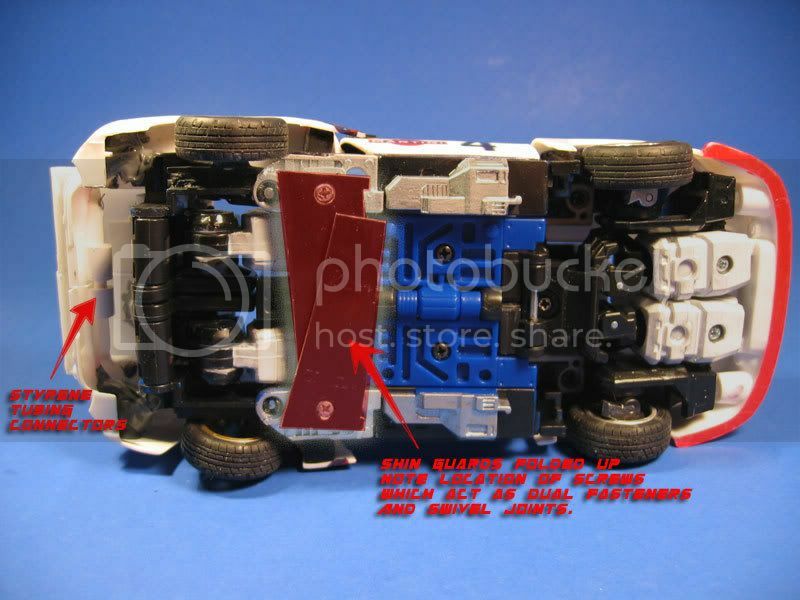 Make sure you fit the shell pieces over the ASSEMBLED Smokescreen chassis for best fit. 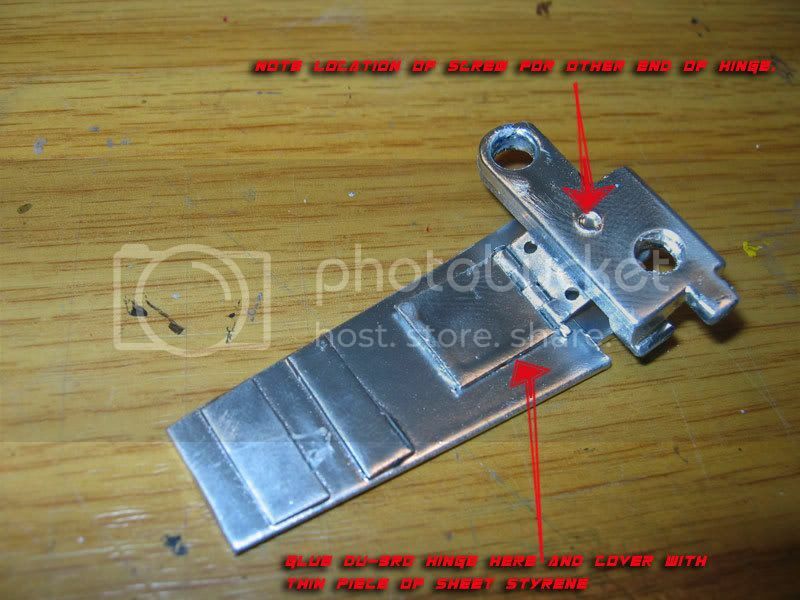 These pics show dismantled parts for ease of view. Once you think you have a good fit on the rear end, try placing the door pieces on and see how large the gaps are. If they look satisfactory then go ahead and start gluing the rear parts or doors on. Order shouldn’t matter if you check spacing before hand and it’s good. I had to deal with significant gaps so I spaced the doors to minimize one large gap by positioning the doors in “the middle” of the gap, essentially cutting it into two smaller gaps. At this point we need to shift focus from re-shelling to some other crucial components…the rear windshield hinges and the feet. 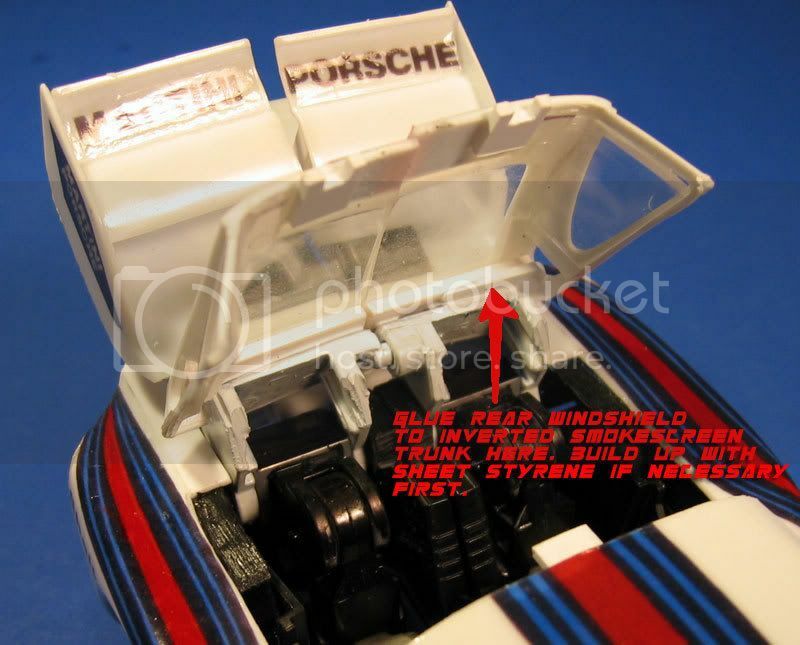 Before proceeding you’ll need to cut the black plastic rear grill in half that came with the Porsche kit. Glue this on the spoiler pieces and the rear windshield into its frame parts at this time so you’re working with more stable parts while assembling the rear windshield hinges. Starting with the rear windshield, you should have your styrene tubing (both sizes) ready. Cut up the larger diameter tubing into roughly ¼” (0.5cm) sections. You’ll need 3 for each side so a total of 6 sections. 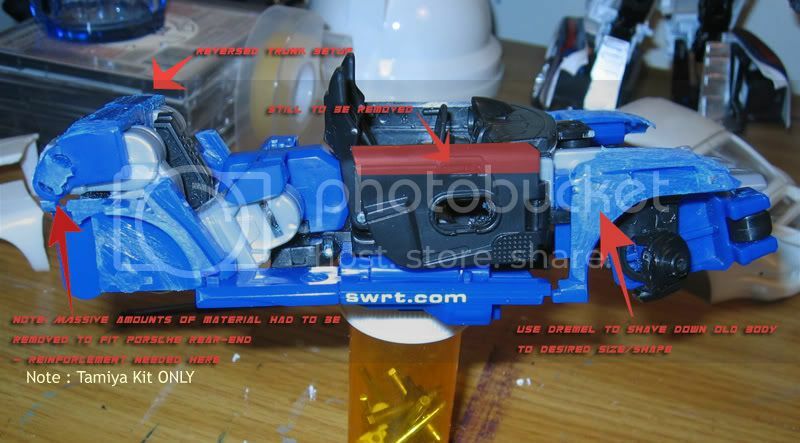 Now glue two of each to the rear windshield frame as shown in the top right portion of the image below. Here’s a top view detail of the finished hinges. The feet were tricky to develop and have enjoyed “mixed” popularity, heh. At any rate here’s what I did. 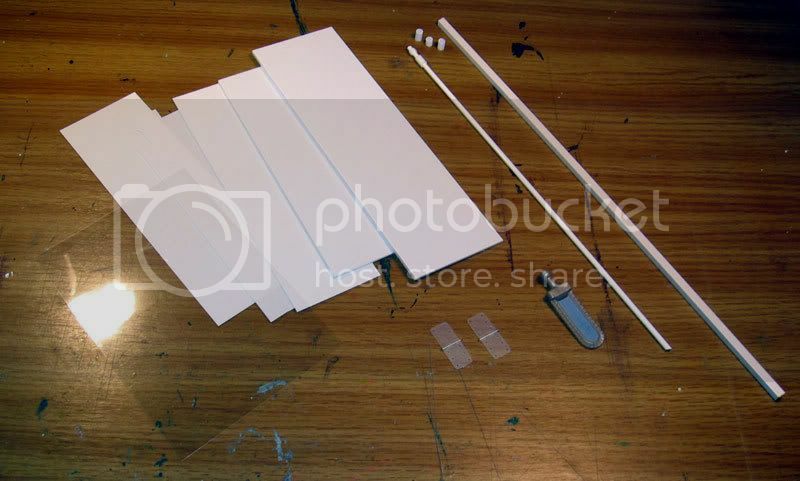 Cut out of your sheet styrene, two trapezoidal pieces that will be used for the “shin guards”. 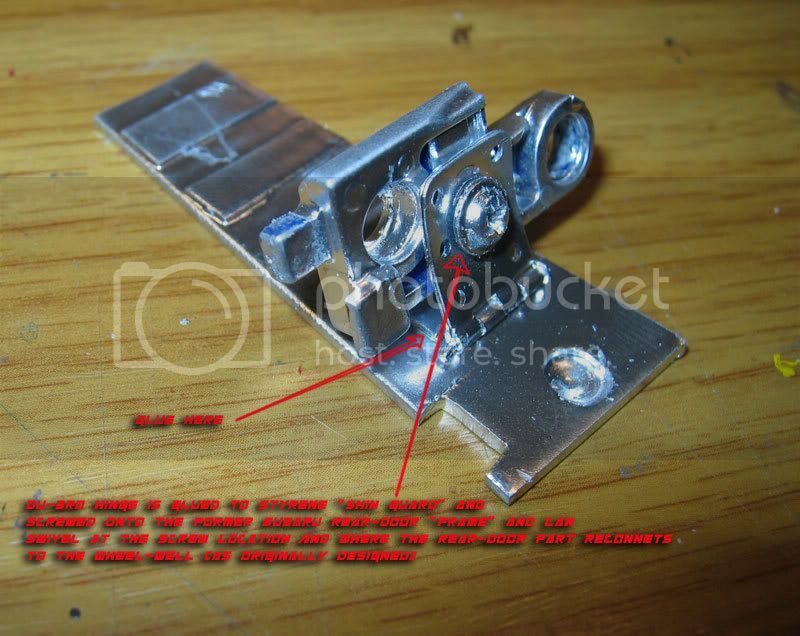 Using the old rear door swivel bases, as a connector you will basically glue the Du-bro hinges to the styrene “shin guards” connect the other end of the hinge to the former rear door swivel parts by drilling a hole in them and fastening with a small screw (you can use one of the screws removed from Smokey if you like). Test the sizes and shapes for a good fit in both modes. 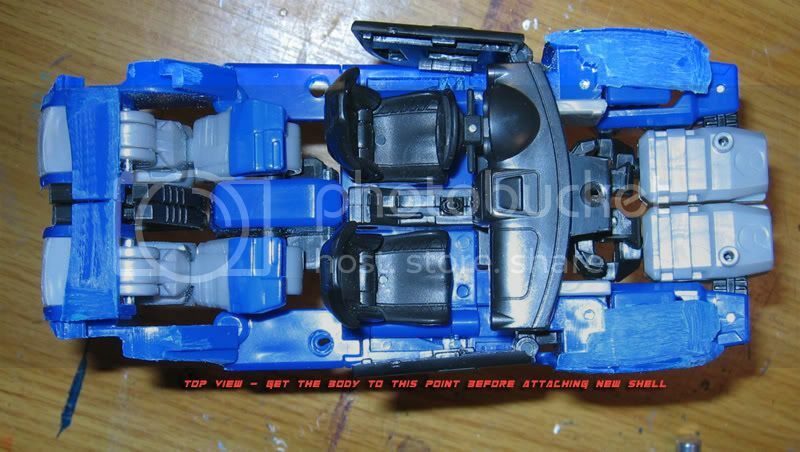 The “shin guards” will fold down and under the car in alt mode (see pic). 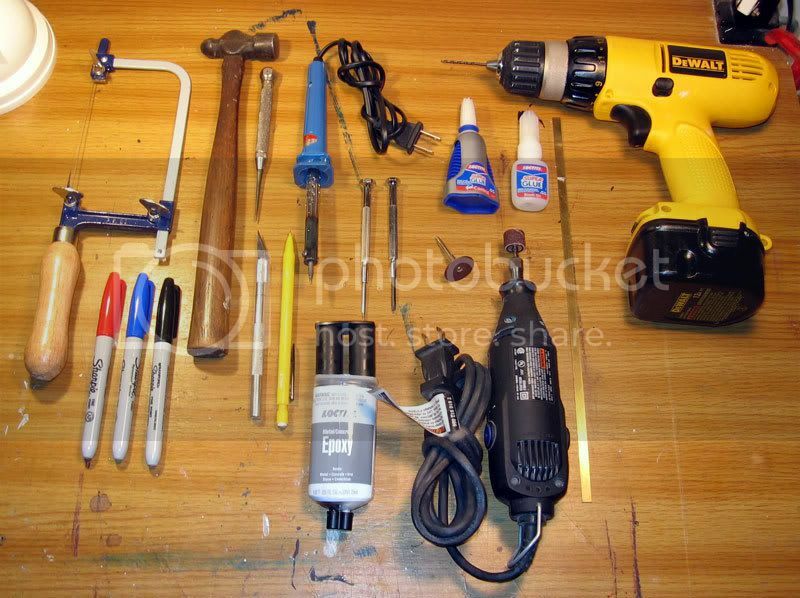 At this point you should re-assemble everything you have and do a final check for fit. If all looks good, go ahead and glue the Porsche doors to the inner remaining Smokey doors. You may need to use some more styrene “square tubing” to build out the door. At this point the bottom of the door should also be filled in with sheet styrene (see pic). Next you may glue on the roof/windshield part. Check again to see if the dashboard is sufficiently ground down or else the windshield base will not be flush with the front hood. Glue into place once a good fit has been attained. Putting back the wheels is easy for the front – just tap them back in using the original pins (although you may want to paint them silver first). The rear wheels are a different story however. 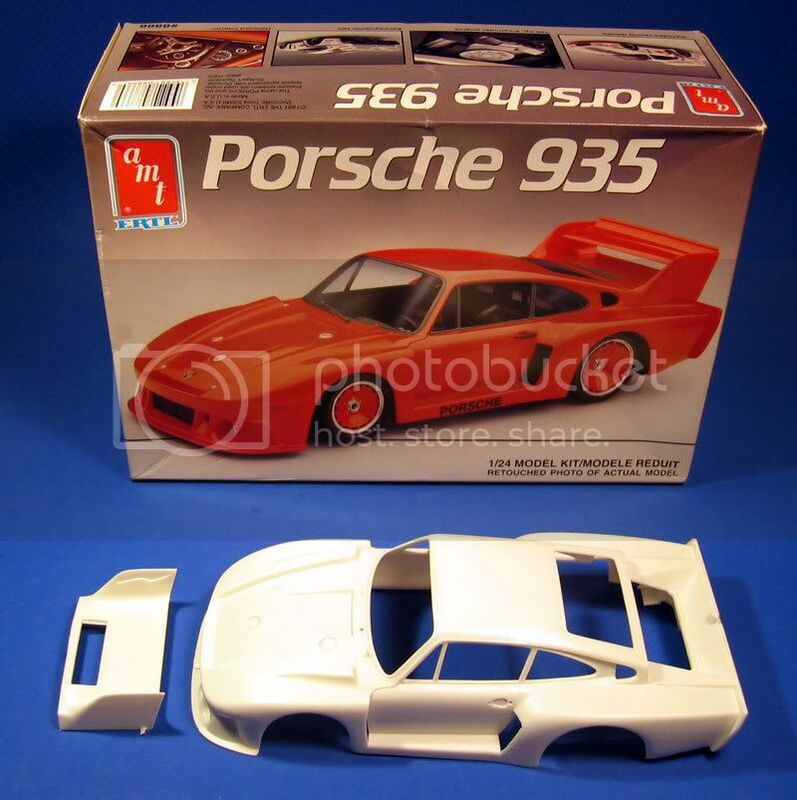 Here you need to build out the axles before you re-attatch them so that the wheels are not sunken into the Porsche wheel-wells. Cut small square or rectangular pieces of thick sheet styrene and sandwich them together to the desired thickness. Then glue these “blocks” onto the rear axle pieces. Now, the axles will be moved FORWARD about ½ “ depending on the how the shell fits over the Smokescreen chassis. 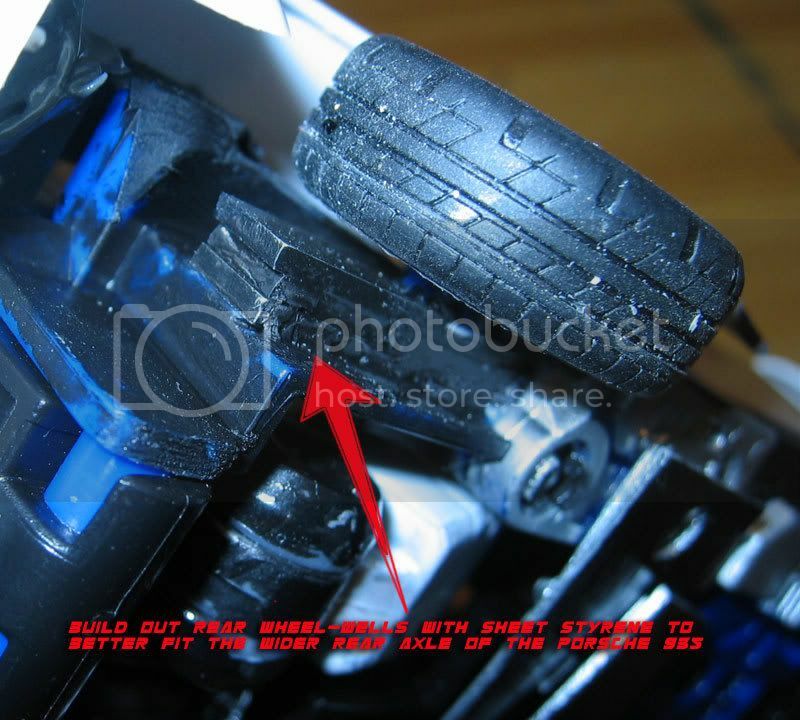 Once a suitable location has been found (one that has equal distance between the tires edge and the wheel-well rim) you may glue the axle (with the built out styrene base already attached to it) in place. 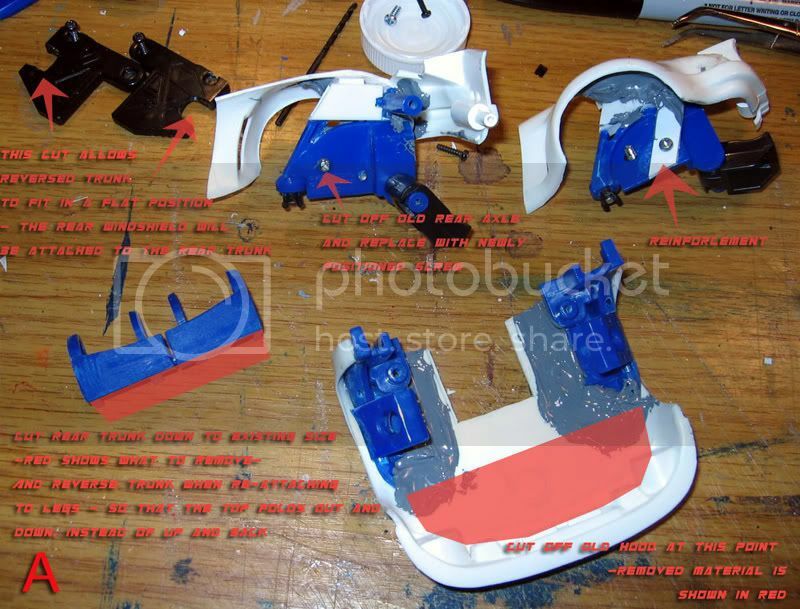 Now that everything is attached you should tweak any seams, joints, and/or gaps before applying decals/paint. The decals I use are modified from the ones that originally came with the kit. Here’s a copy of the graphic for printing out. You’ll need to purchase waterslide decal paper for your printer along with some Clear Coat acrylic spray to keep the ink from running when you wet them. Images need to be attached here.